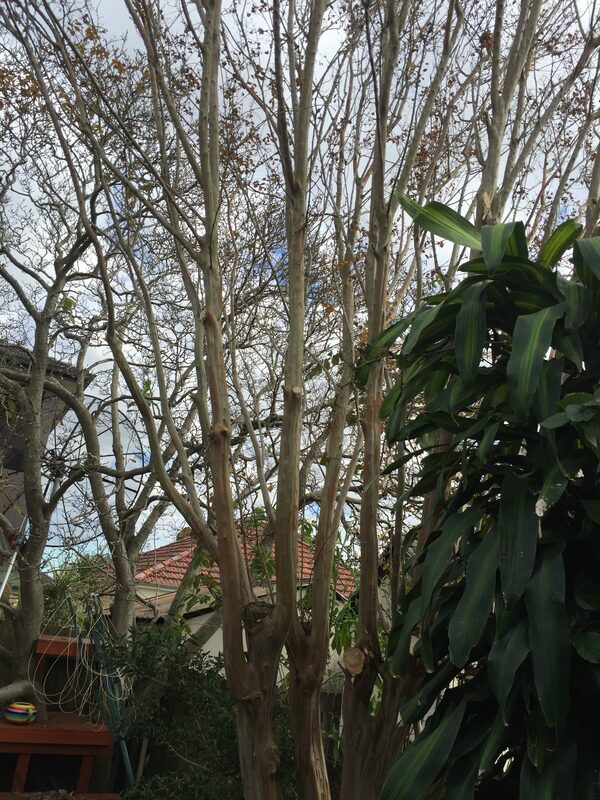 This is a tree pruning job in the trendy inner west of Sydney. We had to prune back a mango tree and a crepe myrtle. 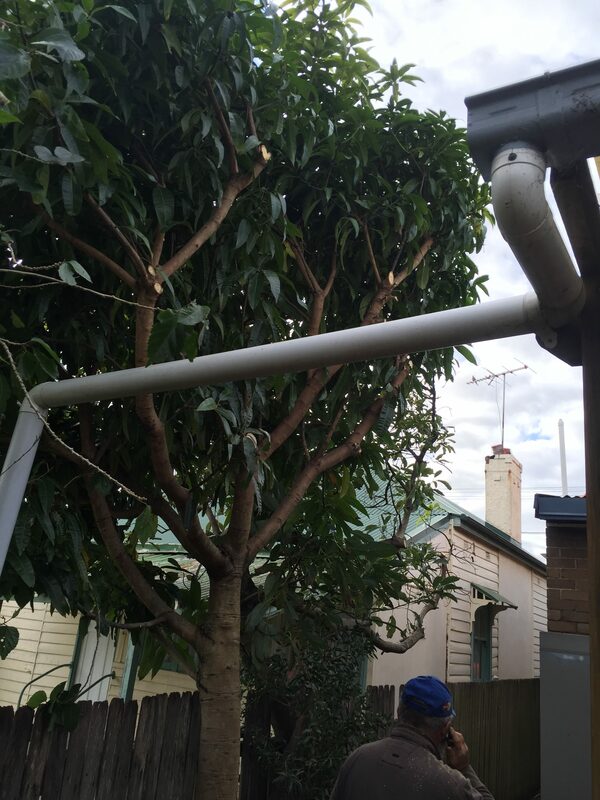 We love these tree pruning jobs in Sydney. Much easier than removing branches overhanging power lines, or lopping a tree that is rotten so you can’t climb it safely. We do those jobs… we just prefer tree pruning when it can be done safely.